Last month, Centerstone’s Legislative Advocacy team shared the anticipated timeline of a Senate vote on their version of an opioid package, noting it could come anywhere between July and December, 2018. They are now hearing that the Senate could vote on their version of an opioid package starting sometime next week. The House of Representatives, at the height of its activity, was drafting and vetting over 70 distinct pieces of legislation drawn up from scratch aimed at increasing access to high quality SUD treatment, curbing the excessive use of opioids, and offering new enforcement authority across many branches of government to limit improper importation and dissemination of illegal opioids. 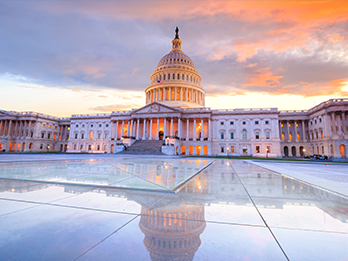 Centerstone has played an active role in helping certain members of Congress develop ideas for legislation as well as edit accompanying bill language. The Senate, on the other hand, has mostly utilized existing House bills to underpin their larger proposal and has, thus far, reached for the least controversial ones. The Senate aims to craft an opioid package that ensures a smooth approval process. Within this context, Centerstone has aimed to selectively interject with subject-matter expertise to recommend action on bills that would have the greatest impacts on improving care quality in the behavioral health industry. The Senate opioid package is currently composed of various bills that have been reported favorably out of the Senate HELP Committee, the Senate Finance Committee, the Senate Judiciary Committee and the Senate Committee on Commerce, Science & Transportation – the full text is available. Over the past several months, the team has drafted a letter of support for the HELP Committee’s proposal, formal suggestions to Senate leadership as to how to improve their opioid package proposal as well as informal requests urging Senators to consider adding some of the more controversial bills – notably the Part 2 bill passed by the House of Representatives – to their opioid package proposal. The provisions most relevant to Centerstone currently included in the Senate opioid proposal released just days ago are the below. An authorization to waive originating site and geographic restrictions for the delivery of telehealth to Medicare beneficiaries with a substance use disorder diagnosis. *Please note that, for most of these Senate proposals, Centerstone has suggested improvements. The Opioid Prevention and Patient Safety Act (OPPS Act) (S.1850 / H.R.6082). This bill would align Part 2 with HIPAA’s consent requirements for the limited purposes of treatment, payment, and health care operations (TPO) – a change that would allow for the appropriate sharing of SUD records, among covered entities, to ensure persons with OUD and other SUDs receive the integrated care they need. More information here. Now is the time for your advocacy! We request that you call your Senators starting now to ask them to vote on legislation that would help promote integrated, safe and fully informed care. Specifically, we are requesting that you urge your Senator to support Part 2 reform in the upcoming opioid package. For some talking points on how to discuss Part 2, please see this reference put together by the Partnership to Amend Part 2, and this reference, which details examples/stories generated by Centerstone. If you are interested in sharing this infomation on social media, the Legislative Advocacy team has assembled some suggestions. Aligning #42CFR Part 2 with the Health Insurance Portability and Accountability Act (#HIPAA) will allow appropriate access to patient information that is essential for providing whole-person care. Learn more here: http://www.helpendopioidcrisis.org. We are committed to aligning 42CFR Part 2 with Health Insurance Portability and Accountability Act (#HIPAA) to allow appropriate access to patient information that is essential for providing whole-person care. Failure to integrate services and supports leads to risks and dangers to individual patients, such as contraindicated prescription medicines and problems related to medication adherence. Learn more here: http://www.helpendopioidcrisis.org. The opioid proposal that the Senate is anticipated to vote on in the coming weeks does not match the one passed by the House in June (H.R.6 + H.R.6082 + H.R.5797). Therefore, members of the House and Senate will still have to come together in “conference” after the upcoming Senate floor vote to reconcile the differences between their versions. We understand that a more meaningful opportunity to request specific changes will occur during this conference period, and Centerstone is prepared to chime in during that time. Further down the line, should a consensus be reached, one single comprehensive bill will need to go back to the House and Senate floors for another vote before the President has the opportunity to sign it into law.